Did I miss any veteran-owned breweries in North or South Carolina? Let me know and I’ll add them to the list. 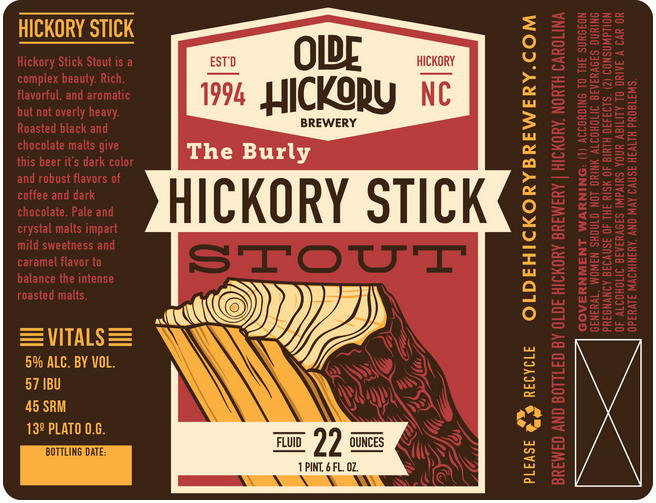 Olde Hickory is no stranger to aging beer in barrels, as anyone who has had beers like Lindley Park and Event Horizon well know. 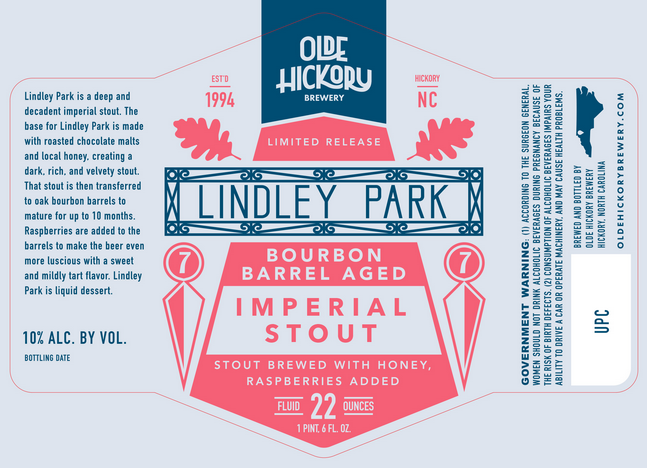 Lindley Park, an imperial stout brewed with honey and raspberries and aged in bourbon barrels, will be out in the last week of October, according to founder Steven Lyerly. 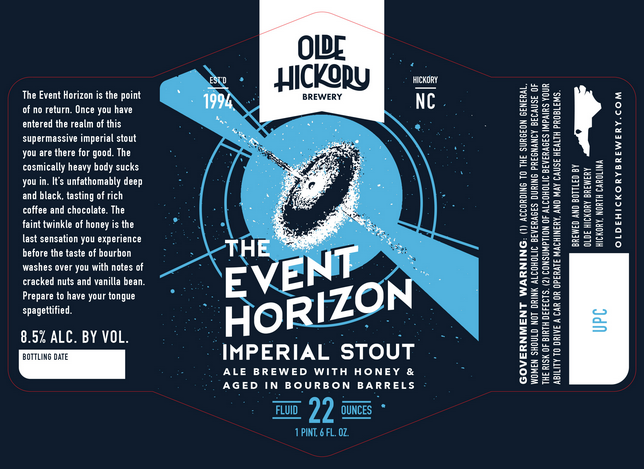 Event Horizon, a barrel-aged imperial stout brewed with honey, will be out around Thanksgiving. But perhaps the biggest news is that in December the brewery will have its first ever brewery-only release. The brewery has been aging its Irish Walker barleywine style ale in bourbon barrels, some for as long as seven years. They will blend some of these barrels together to create Omega Point. According to the venerable Wikipedia, an Omega Point is “the purported maximum level of complexity and consciousness towards which some believe the universe is evolving.” The base Irish Walker received a silver medal at this year’s World Beer Cup. There are no details as to the date, price or bottle counts at this time, but the release will take place this December at the brewery. Until then, we have Lindley Park and Event Horizon to look forward to. 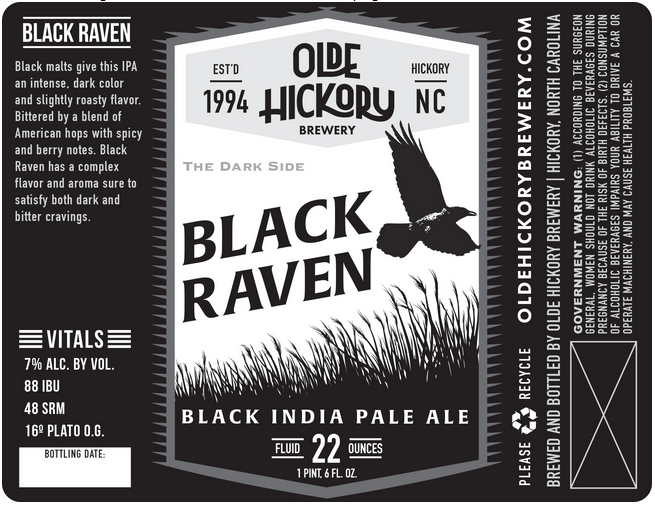 In the next few weeks, Olde Hickory will also transition to six-packs for its core beers. 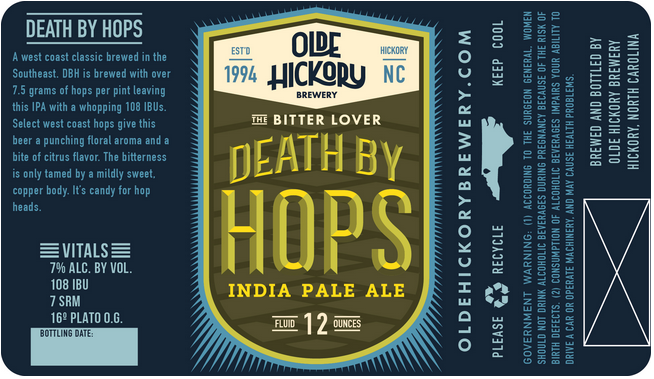 You can see the new labels for these — as well as the new Lindley Park and Event Horizon labels — here. Last August, more than twenty brewers from around North Carolina came together at Mystery Brewing Co. in Hillsborough to brew “NC Gose West,” the North Carolina Craft Brewers Guild’s first collaboration beer. 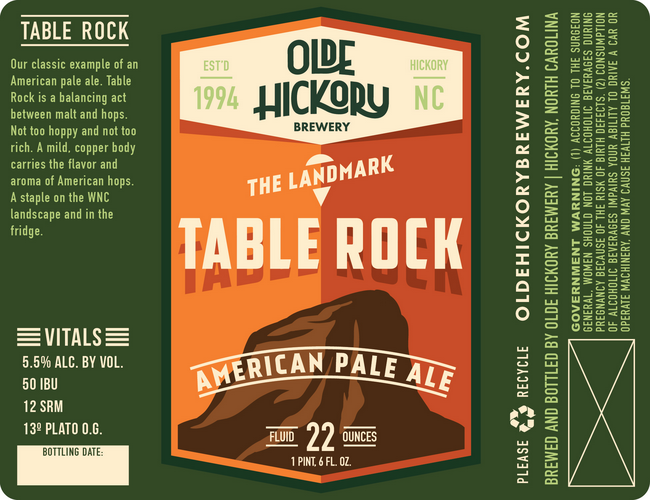 The beer was brewed entirely with ingredients sourced from North Carolina: barley and wheat from Asheville’s Riverbend Malt House; muscadine grapes from Lu Mil Vineyard in Dublin, NC; fresh hops from several NC hop farms; and Outer Banks sea salt from Southern Shores, NC. 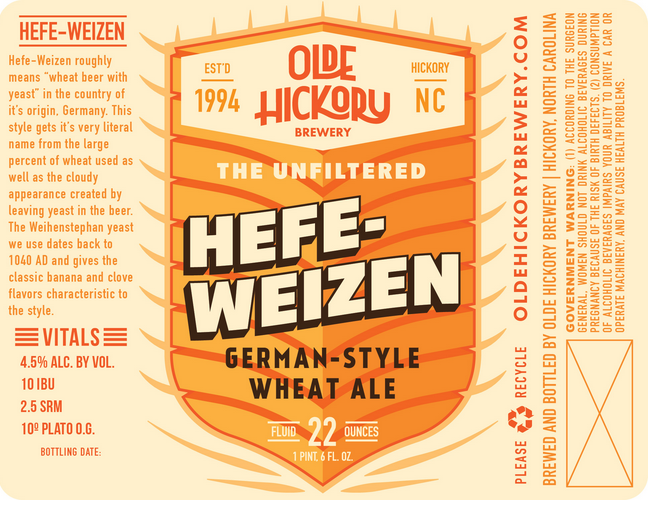 This sour and salty beer was recently available at the Great American Beer Festival in Denver and then also at the World Beer Festival in Durham. But if you weren’t able to attend those festivals, worry not — the beer will see a statewide release this Thursday, Oct. 16, with a variety of bars and breweries tapping it on the same day. 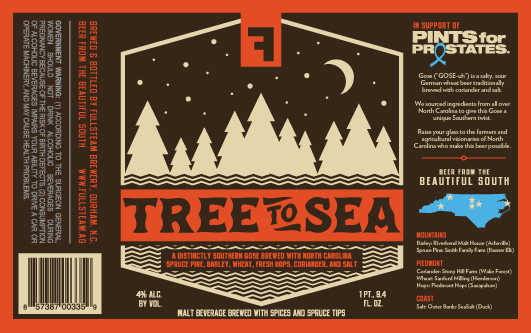 Fullsteam Brewery’s Tree-to-Sea is aptly named, sourcing spruce tips from North Carolina’s mountains and sea salt from the Outer Banks. 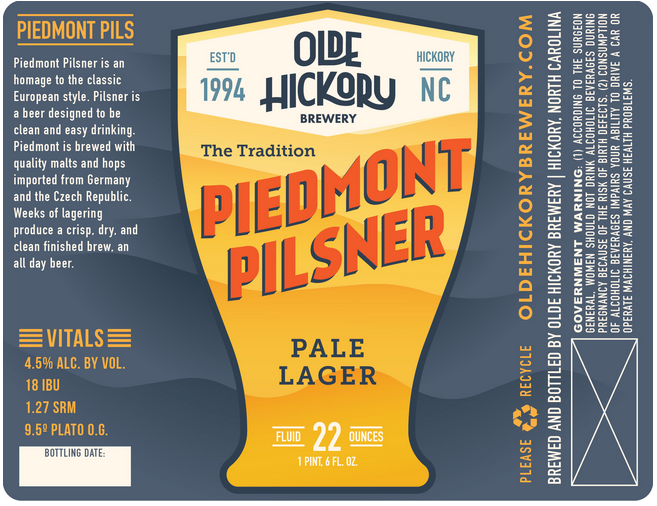 Barley from the mountains plus hops, coriander, and wheat from the state’s piedmont area also go into this beer, which benefits Pints for Prostates and will be available through The Rare Beer Club. 1. Visit Fullsteam in Durham on Oct. 11 from 4-6 p.m., when the brewery will release the beer and host a Pints for Prostates awareness event. 2. Join The Rare Beer Club between now and Sept. 15. Mother Earth is finally brewing and canning a beer that played a large part in their opening the brewery five years ago. 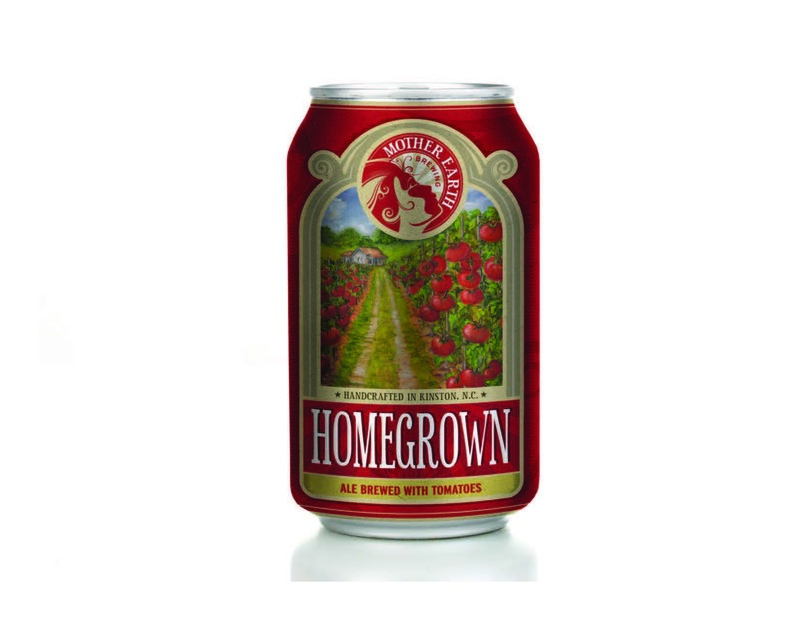 In a recent blog post, CEO Stephen Hill described how his uncle would mix tomato juice with beer. During the summer our family spends a lot of time in Atlantic Beach, NC and we are always having friends over. One night, Trent and I were drinking Homegrown and mixing them up for some of the friends we had over, folks ranging from early 20s all the way into their 70s. They would rave about it! They couldn’t get enough. It was amazing: a 50 year age range and they all loved Homegrown. So, I looked at Trent and said, “We should start a brewery and make this beer, and put it out there for the whole world to experience.” And so it began: a little (tomato) seed that ultimately grew into the Mother Earth Brewing that you know today. Stephen and Co. have been dialing the beer in for the past five years now, and will unveil it as a brewery-only release on Saturday, Aug. 23. 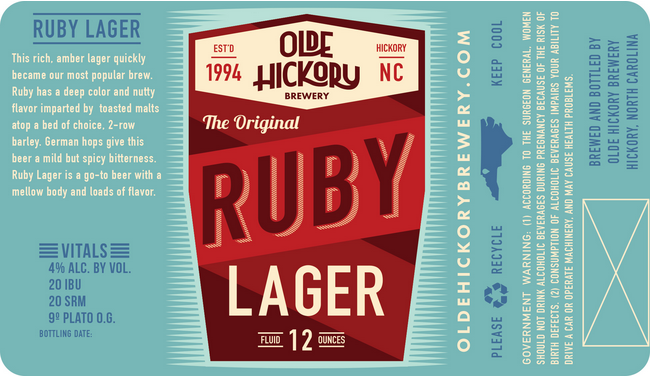 Now in their 20th year, Olde Hickory Brewing is a veteran among North Carolina breweries. And while they have been brewing a great selection of core beers, seasonals and limited releases for two decades now, they could use a refresher when it comes to their label designs. Their new labels for their core beers show that they will get that and then some. 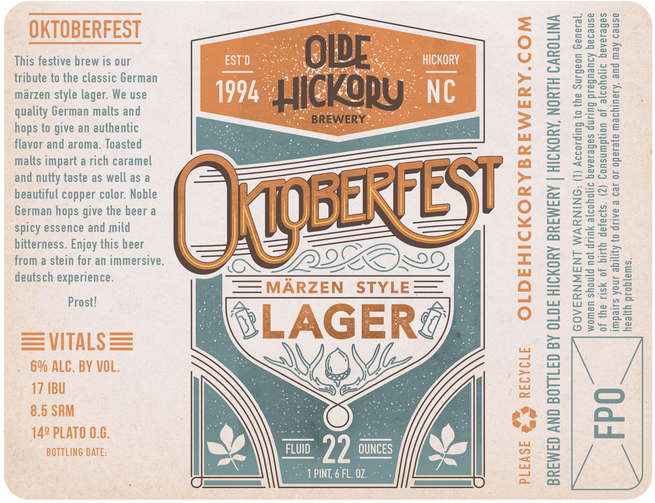 Olde Hickory has unveiled sharp new labels that all feature a cohesive look and important “vitals” about the beers. 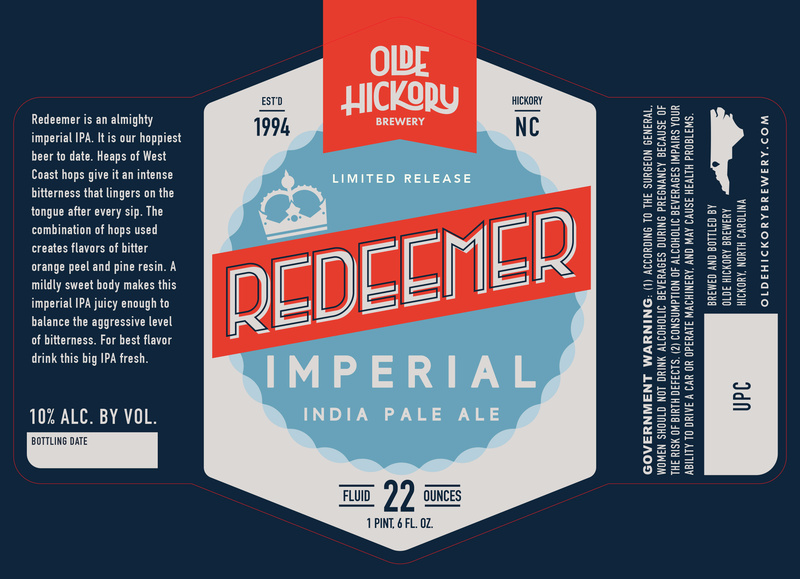 You will notice that most of the labels below say “22 ounces,” but the brewery says these will actually be changing to 12-ounce bottles to be sold in six-packs. Personally, I think the new labels look great. What do you think about the new designs and the move to six-packs? Oct. 13 edit: I just added the new labels for Event Horizon and Lindley Park. 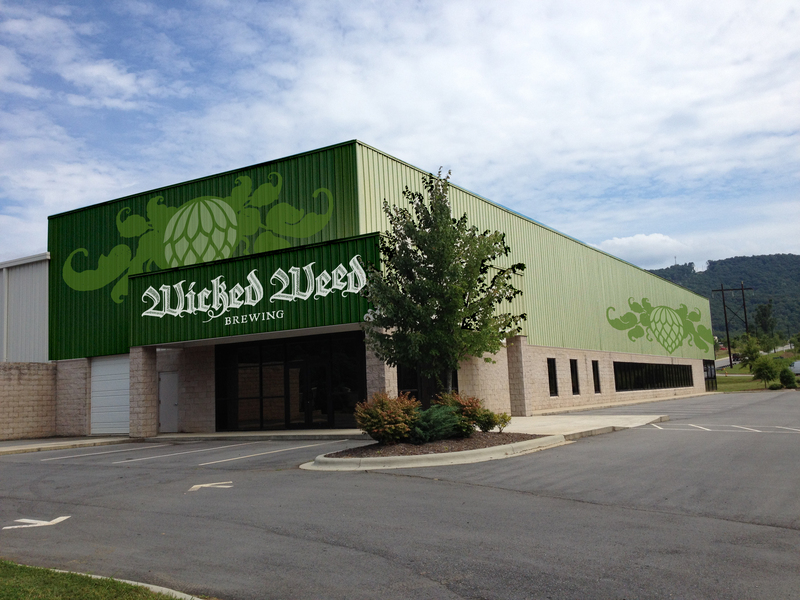 This past Friday, Wicked Weed Brewing announced plans to build a 40,000-square-foot production brewery in the Candler area. This will join Wicked Weed’s downtown brewpub and new funkatorium (set to open in September) as the third facility, and it will be dedicated to their “clean” (i.e. non-sour) beers, such as Freak of Nature Double IPA and Hopburgular Blood Orange IPA.